Perdido Key, located on the Florida Panhandle, has a warm subtropical climate, with an average temperature of 75 degrees and 343 days of sunshine, is an unincorporated community in Escambia County Florida located between Pensacola, Florida and Orange Beach, Alabama - no more than a few hundred yards wide in most places, Perdido Key stretches some 16 miles (26 km) from near Pensacola to Perdido Pass Bridge in Orange Beach. To the south of Perdido Key is the Gulf of Mexico, with its white sand beaches and clear blue waters. North of Perdido Key are Old River and the Intracoastal Waterway. Perdido Key has a variety of accommodations, including vacation rentals by owner and popular hotels close by. 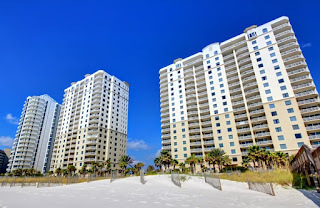 If you're looking for resort property, outdoor activities, dining on fresh seafood....or just a relaxing day at the beach, Perdido Key has everything for the ideal beach vacation.